Disappearance (Napadid Shodan) functions like a road trip over the course of the night where the young Iranian couple tries to hold on to their love midst of their lost innocence guarded by the regressive walls of societal moral codes. The film's skeleton that reminiscent of Romanian filmmaker Cristi Puiu's "The Death of Mister Lazarescu" breaths the ethical and social ambiguity and its implication on human relationships closely resembling Asghar Farhadi's body of work. Disappearance still manages to be a solid entity in itself that stays true to the vision of Ali Asgari. Disappearance (Napadid Shodan) functions like a road trip over the course of the night where the young Iranian couple tries to hold on to their love midst of their lost innocence guarded by the regressive walls of societal moral codes. It is quite fascinating to see how sharply the Iranian film industry is shaping up despite their limited & conservative space with an undercurrent of regressive policies. Eminent film-makers like Asghar Farhadi, Jafar Panahi, Samira Makhmalbaf, Majid Majidi are constantly using the cinematic language fervently to reflect the ambiguous & “somewhat repressed” moral codes stemming from a stringent law. 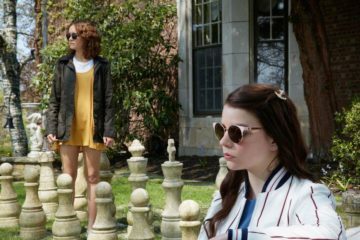 These filmmakers are using elusive subtlety as a tool to tell their stories. And Ali Asgar is quite a promising filmmaker addition to this chain. Ali Asgari, who has an experience of making short films, plots a pretty straightforward and simple story of young couple transfixed in a grave situation to map the wider socio-political state of Tehran. Disappearance (Napadid Shodan) opens on a chilling night where a car draws into the premise of a random hospital and we see a veil clad girl walking with bated breath in search of an emergency ward. The camera flows in the direction the girl recklessly maneuvers while we see a bland and lifeless hallway of the hospital. The anticipation of the whole mystery keeps you at the edge until the revelation that doesn’t ring true entirely. A shred of doubt is seeded when Sara (Sadaf Asgari, the director’s niece) reveals that she has been raped without any emotional collapse that takes even the doctor by surprise. 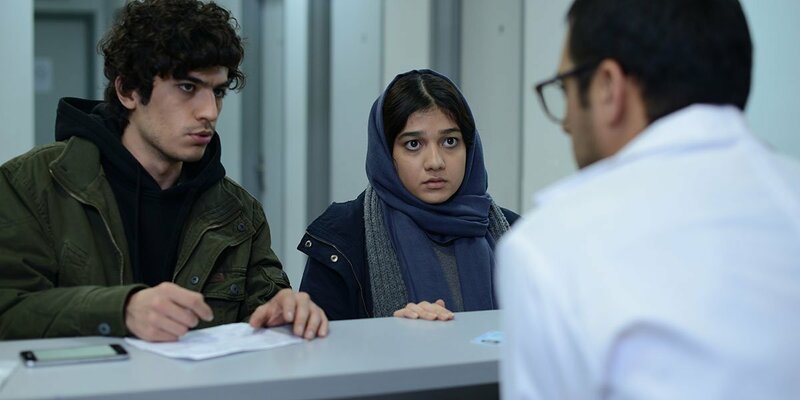 She calls in her brother, Hamed (Amir Reza Ranjbaran), on demand of the doctor but they hurriedly rush out of the hospital when the doctor gets suspicious of Sara’s claim. The whole sequence evolves like a tense noir with the certain ominous feel to it that seeps in your heart and creeps you out. They rush to the another hospital and weaves a completely different story to avoid any question regarding their personal relationship. Sara appears matured, withdrawn into a turmoil that she rarely surfaces in her body language. She is reluctant to divulge any details. Out of fear of being judged, and being reported to family and law which might land them in a grave crisis that could bring shame and irreparable damage to their lives, Sara and Hamed try desperately not to divulge the details of her injury. The keep on piling up the lies that starts gradually creating a stress between the two. Even the absence of Hamed for a moment creates a space to question the reliability. She gets a doubt that Hamed might abandon her as they get entangled in their fabricated lies that don’t yield the result. There lies the problem with the film. The tension could be felt in the headspace of both the individuals but the strain in their relationship is said vocally than felt within. Disappearance (Napadid Shodan) functions like a road trip over the course of the night where the young Iranian couple tries to hold on to their love amidst the lost of their innocence guarded by the regressive walls of societal moral codes. The film’s skeleton that reminiscent of Romanian filmmaker Cristi Puiu’s “The Death of Mister Lazarescu” breaths the ethical and social ambiguity and also its implications on human relationships closely resembling Asghar Farhadi’s body of work. Disappearance still manages to be a solid entity in itself that stays true to the vision of Ali Asgari. ‘Disappearance (Napadid Shodan)’ HAS NORTH AMERICAN PREMIER AT THE 2017 TORONTO INTERNATIONAL FILM FESTIVAL UNDER THE ‘DISCOVERY‘ SECTION.